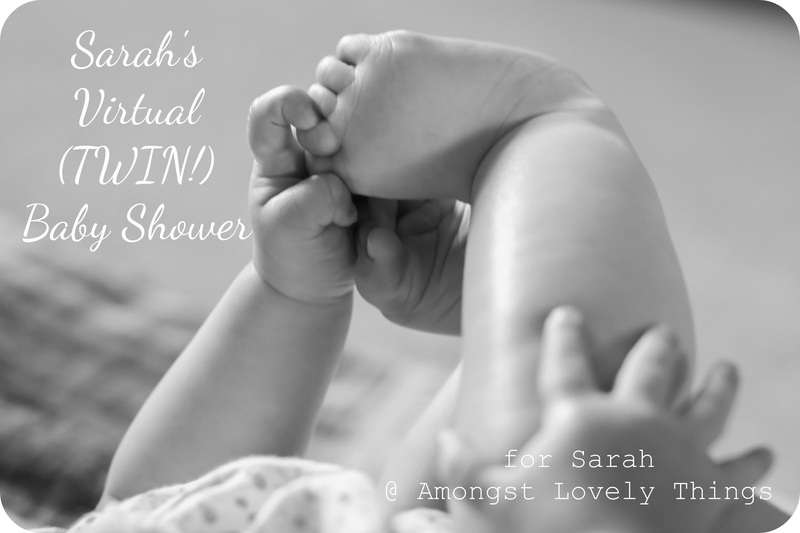 Shower of Roses: A Virtual Baby Shower for Sarah and her TWINS! You are invited to another Virtual Baby Shower! I've hosted one here before and was so happy to see that Mary is hosting a shower for Sarah at Amongst Lovely Things and her TWIN boys! Click on over to Better than Eden to join the fun and get a chance to win some great prizes (including one of Charlotte's awesome quilties or one of Barbara's beautiful handmade scapulars or tenners!) after signing up to offer prayers for Sarah and her family, donating to a diaper fund, or just by helping spread the word!